She’s short for Josephine, but in our age of Sadie, this mini name can stand on her own. 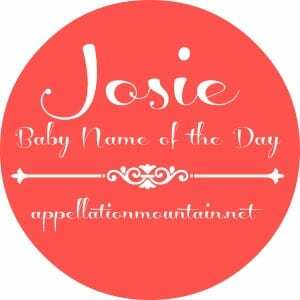 Thanks to Elisabeth for suggesting Josie as our Baby Name of the Day. It’s hard to say how many women have answered to Josie. That’s because she’s so often a nickname, not just for Josephine, but for many a Jo- name, including imports. What we do know is that she’s been given as an independent name ever year since 1880 and currently stands at #265 – which is pretty popular. Josie and the Pussycats were a leopard-print, ear-and-tail-wearing pop rock trio invented for a comic book in the 1960s, brought to life as a Hanna-Barbera cartoon in the 1970s, and most recently reincarnated in a 2001 live action movie. Despite all of this, sensible, red-headed Josie isn’t a bad role model. 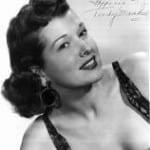 Speaking of the fictional rocker, she was named after Josie Dumont DeCarlo, a real-life French model. Her husband, Dan DeCarlo, was the series’ creator. Drew Barrymore’s character in 1999’s rom com Never Been Kissed also answered to Josie. Melrose Place made a star of Josie Bissett – born Jolyn – who played sweet, talented fashion designer Jane Mancini in the 1990s. The name appears in lyrics from The Outfield’s “Your Love” – Josie’s on a vacation far away … and Blink-182’s “Everything is Gonna Be Fine” is alternately titled Josie – though they never actually say the name in the song about a great girlfriend. The youngest member of the 19 Kids and Counting Duggar family, introduced as the family’s “latest, greatest miracle,” Josie Brooklyn, arrived in 2009. Lisa Kudrow played a presidential candidate named Josie Marcus in the third season of Scandal. Model-actress Josie Maran is mom to Rumi and Indi. Her full name is Johanna. It’s a lot of random associations, but it adds up to a picture: Josie is humble and homespun, but with a hint of indie cool. She’s sweet but also sassy, and manages to seem like a retro throwback choice while still sounding at home in 2014. That’s an appealing picture, but from a numbers perspective, it isn’t clear which way Josie is trending. 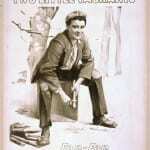 The evergreen Joseph remains a staple for boys in the US, ranking #20 in 2013. 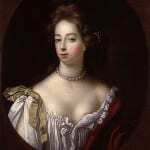 And Josephine, the accepted feminine form, held steady at #160 in 2013. Josie herself has been pretty flat in the twenty-first century, ranging between #327 in 2000 and #256 in 2011. In 2013, the name was given to 1,206 girls, for a ranking of #265. Other formal name possibilities include Joselyn, in more spellings than you can imagine, as well as choices like Josefina, Josette, and Joselle. But the question is whether Josie stands on her own, and I think the answer is yes. Jazzy, sweet, and used more steadily than you might imagine, Josie is a short name that works well – less popular than Sadie, but just as stylish. I always think of Josie Pye, the “mean girl” from “Anne of Green Gables,” but this is probably because I played her in our middle school play, so she’s close to my heart. I’ve also used her for a character in a short story since then. Always have a soft spot for this name. I love the name Josie. One of my beloved Great Aunt’s was named Joann called Josie. I have Josephine on the top of my baby list, called Josie to honor her. On top of the wonderful connection to Little Woman, as Jo is my favorite character of all time, Little Men and Jo’s Boys really make me love her so much more. I like it. I got it as a nickname when I was about 16 because my legal name is Jordanna which was always getting wrecked into other uglier short forms and totally different wrongly remembered names (Joanna, Georgiana, Juliana…) and my religious name is Yosefa. I was named for my great-grandmother, a Yosefa who went by Jessie – ONLY Jessie, it stood alone – in English… I have no idea why not Josie, or Josephine. I like Josie for Josephine, Josette, Johannah, and Jocelyn/Joceline etc. too. My parents, however, still find it vaguely silly and “cowgirl” sounding, though over the last decade and a half they’ve sort of gotten used to it, because now it’s just mildly amusing whereas originally my dad claimed it quite nauseating.